but the God of Heaven is the God of HELP and HOPE. Evangelina and her husband had only seconds to react the Peru flood crisis. It sounded like a freight train rushing toward their house on the outskirts of Lima, Peru. Within moments Evangelina was swept away along with everything she owned. In the midst of the flood, she thought of her daughters who were safely away at school, she thought of her husband, and she survived. Evangelina was rescued by passers-by, covered in mud, determined to live. 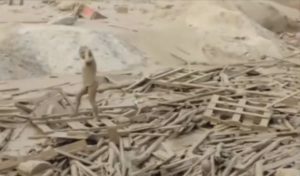 She has become a symbol of perseverance to the 700,000 homeless, and the millions that are hungry in Peru due to the flood crisis. The need in the city of Piura in the northern part of the country is great, located in the middle of the worst part of the Peru flood zone. On Friday we saw 450 people living in a small school building with inadequate food and water. They took shelter there two weeks ago, and 150 of them were under the age of 10. There are no words to describe the situation… they have lost everything. The children were asking us for shoes and food. 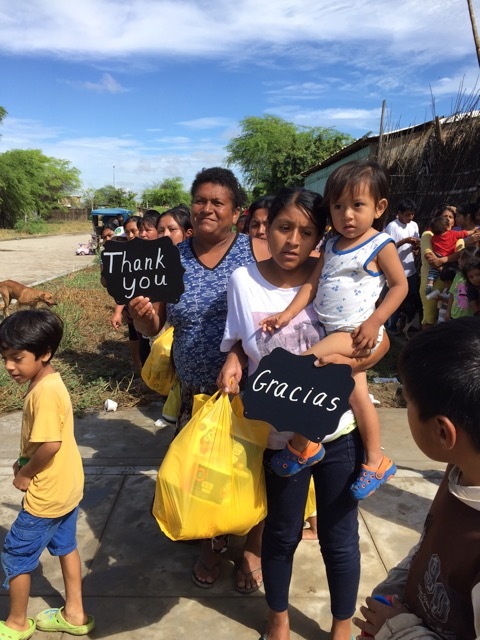 Because of our partners, Latin Equip has been able to provide HELP and HOPE to over 4,000 people in Peru, and will be helping thousands more over the next several weeks and months. Thank You Latin Equip Partners! Our Latin Equip partners have made this happen. So many have stepped up to give to the “least of these” caught up in this crisis. Our God is the author of HELP and HOPE and we thank our partners for reaching out to these in need.